So some of you might remember the post i mentioned earlier, asking about your restoration equipment preferences. Well I took a lot of that to heart. Up until now Iv always only brushed and conditioned my ponies hair, Iv always been afraid to actually use an iron on there hair, but since so many people do it, I decided to get the courage and go for it. I bought a brand new flat iron with lots of heat settings. Its not a super awesome iron but its good enough, I also picked up a few combs/brushes. 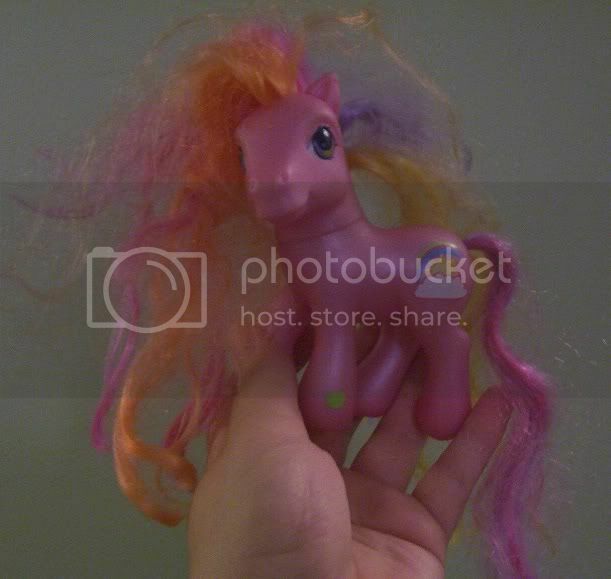 she was my very first pony and I love her, but her hair is sooo dry that you can barley even tell that its still pink. Iv tried conditioning her hair multiple times, but nothing is doing any good..
on one side I dont want to loose the original curl, but on the other id really like to fix her hair. what should I do?! If i conditioned/softened and ironed do you think it would be possible for me to re-curl the hair? 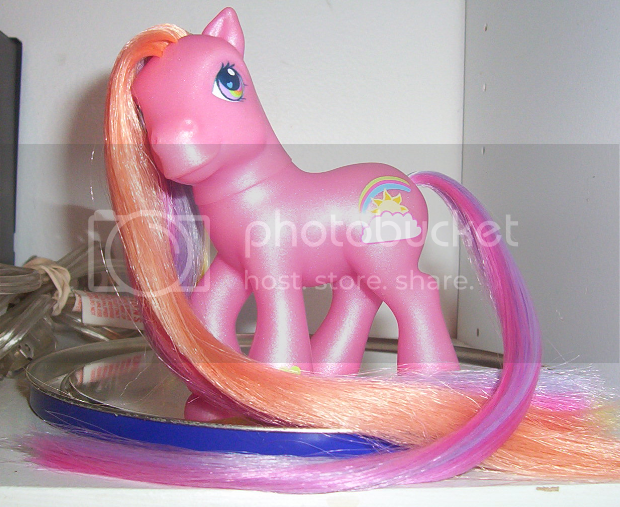 or is there a point were some ponies hair is just too dry to even iron? I'm at a loss guys. help me out. Straighteners are fantastic, aren't they? That is genius! Flat ironing! I've always resorted to re-rooting or curling ^_^. Fantastic job on Rainbowflash! If I was still collecting G3's I'd definitely adopt her. I think if you want to use heat on any pink haired pony, test a small, inconspicuous area first to see if the hair will change. I've heard it does and it doesn't change pink pony hair. Maybe it depends on the specific pony in question or how high the heat setting is. I used a curling iron on my original pink haired Tornado and he didn't lose any of the pink in his hair at all. I also did it to a couple other pink haired guys over the years with no problem that I remember but I don't recall which gals. **I am not saying it won't fade the hair**, although it hasn't for me. Maybe the heat I used wasn't high enough or I didn't keep it in place long enough to damage the coloring. 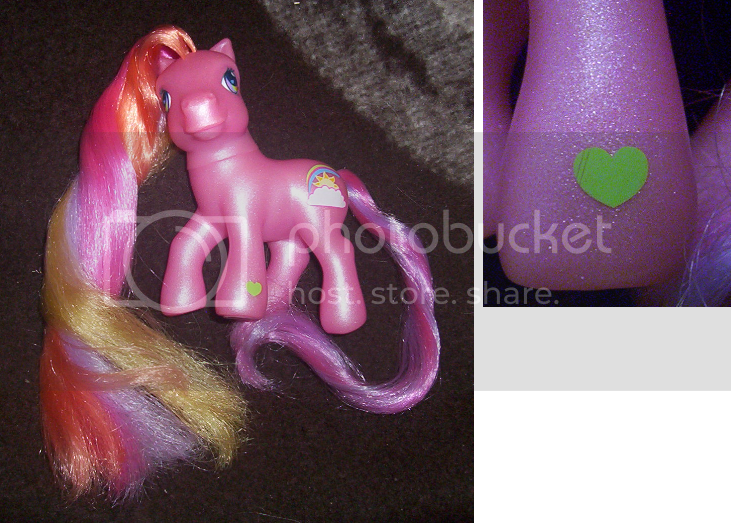 I would love to hear results from others that used a heat method on a pink haired pony. It's actually a good idea to test first on any pony. Some of the hair can be different than others in the same gen so I always like to be better safe than sorry. Great results on Rainbow Flash! For Rosedust I would try conditioning and loose finger curling first before taking a drastic measure like a flat iron/curling iron. Often if you get the curls in order the remaining frizzies are not very noticeable. I prefer my curly haired gals to retain curls whenever possible. ooh lilspark i didn't want to hear that lol maybe ill try soaking her in some fabric softener, but so far conditioning is literally having no affect on the poor girl. 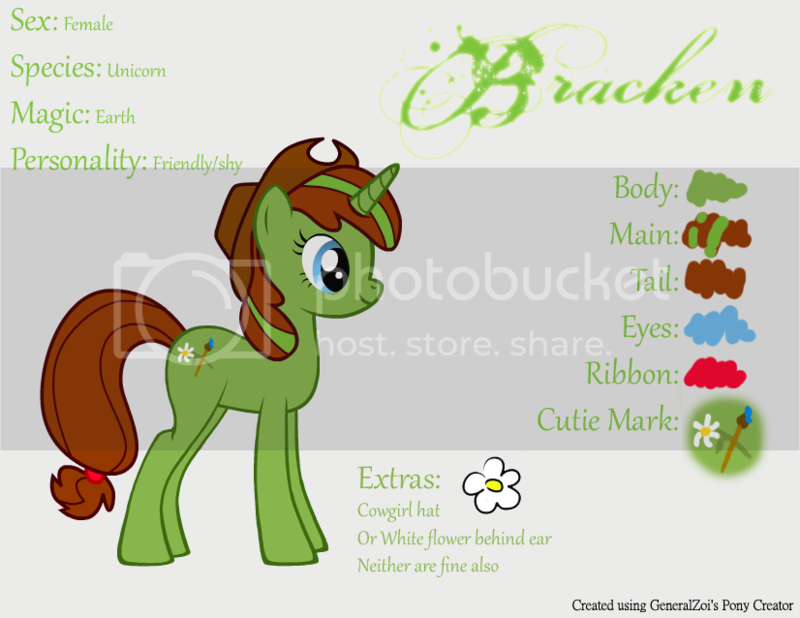 well i definitely do not want to loose her pink D: she was my first pony! and Im not sure if i want to test a small chunk because if i did, and it did go poorly then id have this one little longer white bit of hair thats no longer curled xD that sort of detail would make me nuts! What?! I have never heard this! 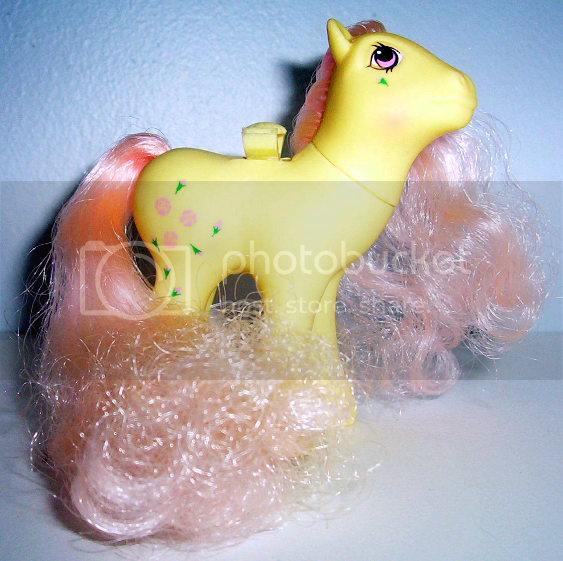 The only pink haired pony I have flat ironed is a G4 Fluttershy. Nothing happened to her hair color so I guess Hasbro solved the problem! If you are too scared to resort to fabric softener maybe try a heavy duty conditioner like Mane n Tail. That's because Fluttershy doesn't have Pussycat hair. Pussycat is the pink that always fades, it fades in the sun and heat. She looks amazing now! RD is notorious for having puffy dry hair right out of the box. I would try soaking Rosedusts hair in conditioner or even fabric softener and pick through her curls (I wouldn't brush or comb it) or even just use your fingers to work it in without ruining the curls. Usually as long as you don't brush or comb through the curls they will hold up pretty well. 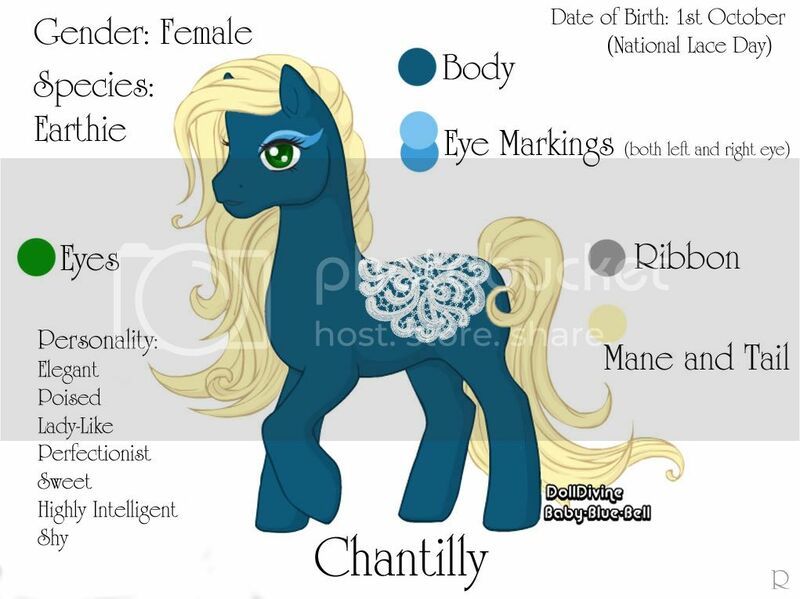 also yes pussycat is a VERY temperamental color xD, im sort of hoping that they stop using it on ponies, even though it is a really pretty light pink color, but every time i hear of fading hair pussycat always seems at the top of the list. Don't use stuff on pony hair that will stay in. The hair won't absorb the stuff and it just won't look good at all, probably like unwashed hair... And it won't feel good, either.